Winter NAMM had some really interesting guitars this year and amongst them was the new Rick Vito Signature Soulshaker, an instrument with looks to kill and one designed to be well-balanced for slide players. 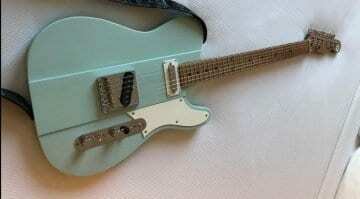 As with many Reverend models, it uses Korina for the main body wood and much like their new Greg Koch‘s Gristlecaster it is also a chambered body. Which I can assume will give it a nice increase in its resonance. Aimed towards slide guitar players like Rick, the neck has a single-action truss rod for which is lighter weight and will help keep the guitar balanced and not suffer from being ‘neck heavy’, which could otherwise be an issue with the chambered body. Which would be especially annoying if you are trying to play slide guitar. The satin-finished three-piece Korina neck has an ebony 12″ radius fretboard with subtle dot fret markers and a Medium Oval profile. The fretboard itself has 22 medium jumbo frets, so should play nicely when you aren’t using your slide. 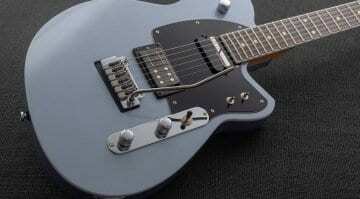 It comes fitted with a pair of Reverend’s HA5 humbucking pickups in both the neck and bridge positions. Each has a PAF like quality to them according to Reverend and these ones come in a neat custom cover, which suits the whole vintage vibe of the Soulshaker‘s overall look. 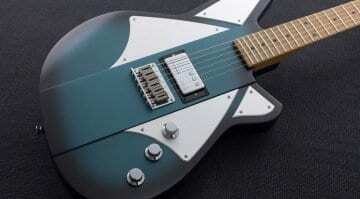 Each pickup is controlled by a shared single Volume and Tone control and selectable by a three-way switch. 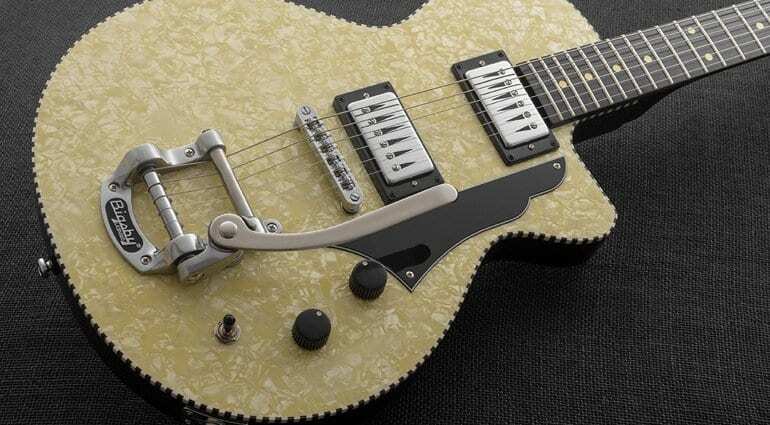 Then there is that factory fitted Bigsby B-50 trem paired with a roller bridge to aid tuning stability, along with a Boneite nut and Reverend’s pin-lock tuners. 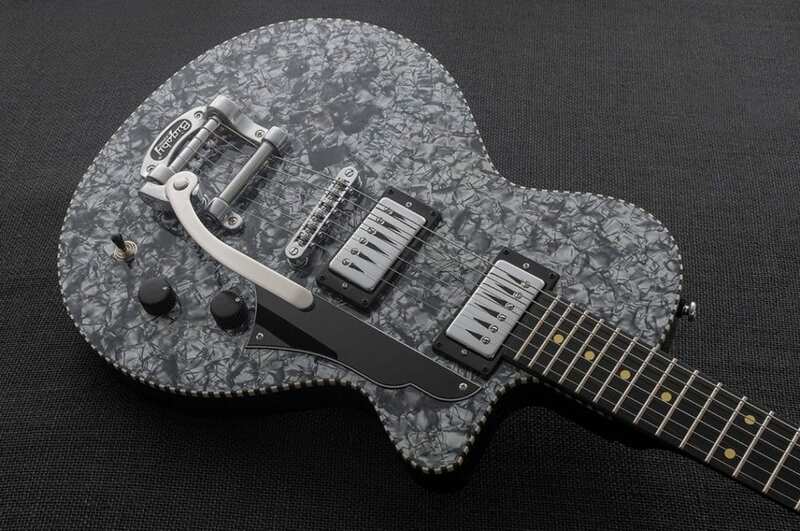 On paper, it sounds like a great guitar and it certainly has the looks of one too. I believe this is Rick’s third signature guitar for Reverend and it is nice to hear him talk all about it during the video with Greg Koch below. Well worth a watch. 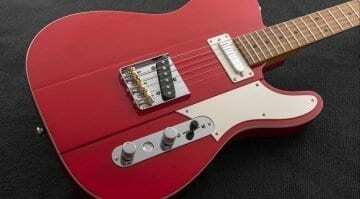 Where is the Reverend Guitars Greg Koch signature guitar?